If you want to purchase the fairest ring of all, one with a beautiful story from the mine to your finger, then this article will give you, perhaps, the best approach you'll ever find. It’s based on exclusive insider information that only someone deeply involved in responsible jewelry sourcing for a long time can provide. By fairness in a Fair Ring, I don’t mean simply eco-friendly or ethical rings. Ethical and eco-friendly can mean different things to different jewelers. So, we'll be steering clear of those terms. Instead, we'll talk about fairness. The Fairest Ring of All Method is all about making a purchase that maximizes benefit to small producer communities, and their local economies, while protecting their ecosystem. 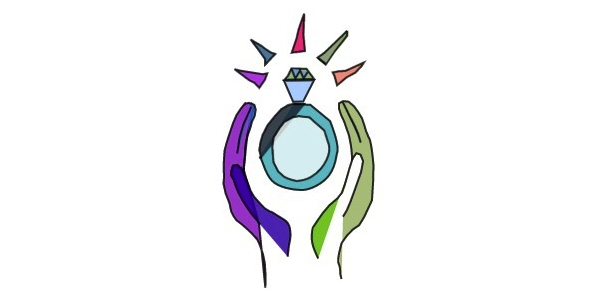 As a jeweler who has pioneered responsible practices for over ten years, including writing for the jewelry trade, I developed the Fairest Ring Of All Method because I care about the impact of the jewelry trade on communities around the world. I've seen the mines. I've seen the suffering and environmental damage, led campaigns to stop a gold mine where I live, l've pioneered responsible practices in the Jewelry sector in North America even before it was trending. With that, I decided to create a method that would allow anyone to cut through the misleading marketing spins from "ethical jewelers." Most importantly, this step-by-step process will enable you to purchase a ring that truly represents your commitment to social justice, environmental responsibility and fair trade, which in these times is more important than ever. This article gives you an outline of that approach. You can also download a free worksheet at the end which goes into even greater step-by-step detail of what is offered here. First, you need to learn a set of criteria from which you can judge "fairness." Found in left column of the chart below. Second, a series of questions is provided to ask a jeweler, based upon the criterion. Third, evaluate the answers based upon a point system and notes, using the chart below. If this seems intimidating or daunting, don't worry. It's not that hard and it's really quite simple. The important concepts are the first two items: traceability and transparency. You'll see that the social and environmental impacts are elements of traceability and transparency. Let's go into a bit more detail. Criterion 1: Traceability is based upon the degree of knowing exactly where the gold comes from. When we ask, “Where does the gold come from?”, we want to know the actual mine, rather than the jewelry supply house. Hint: Only the jewelers most committed to responsible sourcing will be able to answer this question. Criterion 2: Transparency depends upon the degree in which you can actually follow the economics of the gold from the mine to the supply chain. It is very similar to traceability, but the important difference is that you know the economics in the trading of the gold from mine to market. Remember, “fairest of them all” supports economic practices that maximize benefit to the producer communities. In the best-case scenario, a jeweler will be able to tell you that the gold benefitted small-scale miners in a specific location. Criterion 3: Social Impact is based upon how much your purchase impacts the producer communities on the ground—the actual miners and their families. This is important, because we want the gold to alleviate poverty and allow small-scale miners to feed, educate and clothe their families. Criterion 4: Environmental Impact considers the impact of the mining practices on the land and natural ecosystems. Honestly, all gold mining is harmful to the environment. A large-scale mine might crush a hundred and fifty tons of rock to get a single ounce of gold, while small-scale mines often extract, comparatively, one ton of rock for an ounce of gold. Side Note: Something to keep in mind is that there are two very different types of mines: large-scale and small-scale. With large-scale mines, the objective is to maximize benefit to shareholders, 3rd party. We’re interested in supporting small-scale mines, which are owned and managed locally to the mine. Using this criteria, we’ll look at various kinds of gold in the market. You can actually consider any precious metal, but we’ll use gold. And of the types of gold, there are three general categories: Open Market Gold, Recycled Gold and Fairtrade Gold. Now, all we have to do is apply the three types of gold to the criterion above. Open Market Gold comes from a variety of sources. It is neither traceable nor transparent to the actual mine. Since the source of this gold is unknown, it could either be recycled, or from mines, we just don’t know. And, in context to the environment, large-scale mines and unregulated small-scale mines are inherently environmentally destructive. As far as we’re concerned, Open Market Gold is what environmentalists call dirty gold. As for the social impact, as mentioned in the chart above, because there is zero traceability the impact is unknown. Recycled Gold is also not traceable because we don’t know its source from the mine. Here’s the truth of the matter: recycled gold is basically open market gold sent to a refiner that recycles it and rebrands it as “eco-friendly” gold. Therefore, like Open Market Gold, it is not traceable or transparently sourced from the mine. We can safely assume that its social or environmental impact is the same as Open Market Gold: not good. Now, I’m going to be a bit controversial here because leading brands in the US market push recycled gold as the choice for those conscious consumers concerned about the environment. And here’s why. Recycled gold is not “fair” even though leading jewelers hype recycled metals as the best option for people and the planet. Using recycled precious metal has no positive impact on mining practices. In fact, marketing recycled metals as an eco-friendly, socially responsible alternative choice is a marketing spin. It actually damages the efforts of jewelers who want to sell gold that does make a real difference to producer communities and the environment. The last option, Fairtrade Gold, gets the highest rating, because it is traceable and transparent directly to the source of the mine. In other words, you can know the exact location and the exact conditions of the mine, including labor and environmental practices. (All the matters related to mining are audited independently by Fair Labeling International). 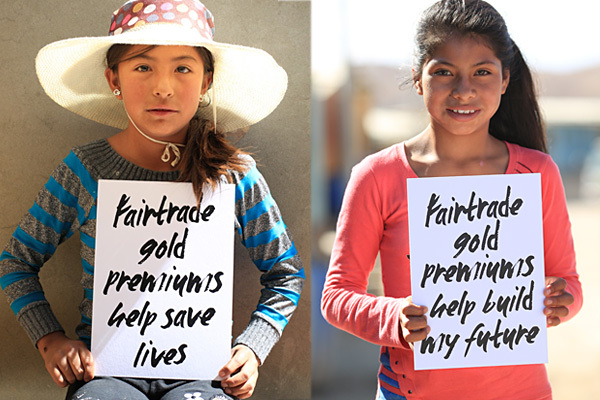 In terms of social benefit, only Fairtrade Gold guarantees that producers are paid a fair price for their efforts. Plain and simple, no gold mining is good for the environment, but Fairtrade gold has the least environmental impact. Small-scale gold mining is the largest contributor of global mercury, but Fairtrade gold eliminates mercury contamination. Comme ci, comme ça. Now, I’m aware, that there’s a good chance you haven’t even heard yet about Fairtrade Gold as an alternative option. In the US, it is just starting, but in regions such as the UK, it has become the clear choice for responsible consumers since it was introduced formally in 2014. Full Disclosure: I’m the first, and the only as of right now, certified Fairtrade Gold jeweler in the US, and I can tell you that Fairtrade gold should not add much more than 5% to 8% on the cost of an average wedding ring. I only state this because it is common that other FT products are usually more costly than their conventional alternatives, and can sometimes be a deterrent. First, only the very best responsible jewelers in the US will be able to give you answers to these questions. So you know you’re getting the real deal. Second, it teaches you how to find out the source of any piece of jewelry. The Fairest Ring of All Method can be used for any metal, from platinum, silver or palladium. Third, by using this approach you can now go beyond terms such as “ethical” and “eco-friendly”. These terms can confine you to frameworks that fail to provide the most important information needed to make your fairly informed purchase. The most important thing here is that we find ways to support producer communities while we, as the supporting consumers, enjoy the products we buy and love. We’re following the basic principle that the people of the land should gain maximum benefit from the resources on their land. Fair trade. Right now, there are over fifteen million small-scale gold miners around the world. 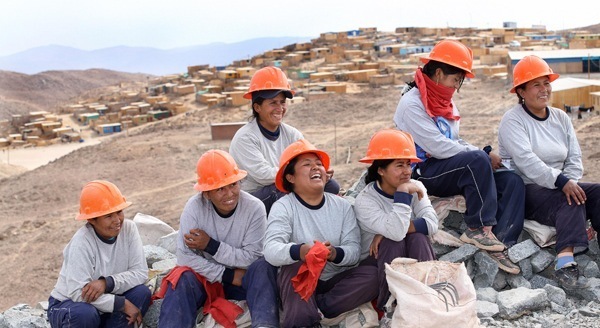 They supply about 20% of the world’s gold supply, yet are 90% of the world’s gold mining labor. For them, digging in the ground is about the politics of bread, about survival. There is a real opportunity to make leaps and bounds of positive changes in their world, and ours, if we can support the best practices of these small-scale producers. If Fairtrade Gold was to gain elevated market share in the US like Fairtrade Coffee, hundreds of thousands of small-scale miners would be uplifted from poverty. We need educated ring buyers! And now we’ve got one: you. The Fairest Ring of All Method enables you to make clear and strong decisions about what matters to you most. If you use this method, I’d say you’ll surely live happily ever after. P.S. Don't forget to download the worksheet here!